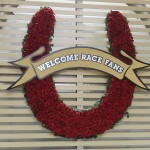 LOUISVILLE, Ky. — The Kentucky Derby Museum has a gift horse you can look in the mouth. 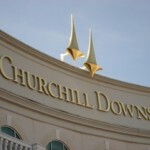 The museum, on the grounds of Churchill Downs, also has racing silks, trophies, old photos, programs, paintings, blacksmith equipment, saddles and bridles, mint julep glasses, posters, videotapes and hundreds of other items associated with the Derby. Most of those are gifts donated to the Museum after it made several public pleas for Derby memorabilia. The mud-stained blue and white silks Mac Garner wore in riding Cavalcade to victory in the 1934 Derby are in the museum. So are 235 trophies won by Spendthrift Farm horses while Leslie Combs II was owner, including the trophy won by Majestic Prince in 1969. Advertising posters and signs linking beer to the race are in the collection as well, donated by people who acquired the souvenirs. One man who worked at the 1936 Derby as an usher offered a program autographed by Babe Ruth in time for last year’s exhibit of memorabilia from the 1936 Derby. This year’s showing contains donated photos showing Churchill Downs under water from the 1937 flood. 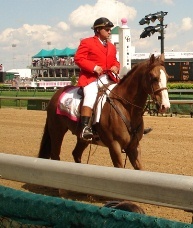 A Los Angeles woman, Jane Dempsey, who handles Kentucky Derby Tours yearly junkets to the Kentucky Derby donated the Derby programs accumulated during her family’s yearly junkets to the track. That donation completed the Museum’s collection of all 112 Derby programs. 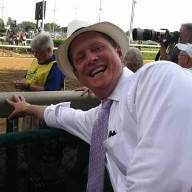 Jim Bolus, a Louisville sportswriter, donated his complete collection of Derby notes, articles and taped interviews. It will form the core of a Derby research library.